If you’re not yet on the social media train, hop on board. It’s never too late. However, social media is on the fast- track in its evolution. Unless you get started and learn how to use social media for your business, you might have a hard time catching up. It is not a fad. Social media has become a key component in life and work. 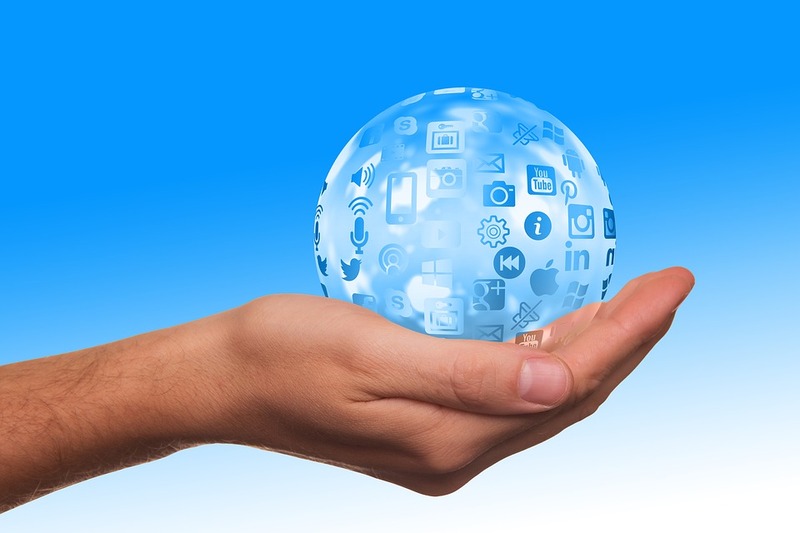 In this article, we will discuss a number of future trends in social media. There is a direct correlation between the number of Internet users and the growth of the global population. In December 1995, there were only 16 million Internet users. This number corresponded to 4% of the global population. Today, there are 4.083 Billion people on the Internet. This number corresponds to 53% of the world’s total population. In the same manner, there is a direct correlation between the growth of social media usage and the size of the Internet’s population. It has not slowed down. Every year more people are signing up for social media. From only 970 Million social media users in 2010, it is estimated that the number will increase to 3 Billion in 2021. Presently, there are 2.62 Billion people on social media every day. That number represents 64% of the Internet’s population. Mobile will remain the dominant source of online traffic. Consumers and businesses will increase their dependency on the Internet to fulfil their needs. Social media’s purpose and function will change. A key statistic to keep in mind is that businesses never really got into websites. According to the 2018 Telstra Small Business Intelligence Report, 50% of small businesses in Australia don’t own a website. However, 51% of Australia’s small businesses and 58% of its medium-scale businesses have a social media presence. In fact, Australia has one of the largest social media communities in the world. 60% of its population of 24.6 Million people is on Facebook every day. Social media, while still remaining a popular channel for maintaining purely social interactions, has transitioned to become an effective medium for business as well. Businesses of all scale and industry types have been using social media to achieve its marketing objectives. A properly- managed social media marketing campaign can help your business generate leads, enhance your industry reputation, and increase sales conversions. Gone are the days when people used social media to rant about politics, gave a play- by- play account of the latest NBA game, or share details of laundry day. A study by GlobalWebIndex revealed that 37% of Internet users got on a social media platform to conduct research on a product before buying it. This key statistic has been rising every year. The countries which largely depend on social media for product research include markets in Latin America, the Middle East, Africa, the Philippines, and Morocco. To be quite clear, for now, search engines are still the preferred medium for product research. However, social media networks as a resource for product research is fast catching up. We should also see technology successfully create channels for visual and voice search. We have already seen accelerated development in the area of Machine Learning. In the future, searches will be launched by images instead of keywords. Voice technology is a definite game-changer. A social network that can successfully introduce and integrate voice search can easily bring in another billion users to the service. Voice search will make it easier for regions with lower literacy rates to actively participate in social media. Another trend that has maintained its upward trajectory the last few years is the growth of video as a channel for marketing. 32% of marketers share the opinion that video marketing plays a more important role in content marketing than blogging. 80% of marketers report that they allocate more assets to video marketing compared to blogging by a ratio of 63% to 60%. Video is a fast- growing medium of customer interaction; from 2016 to 2018, the use of mobile video has increased by more than 10 million minutes. It might be safe to say that video marketing is no longer a trend. In fact, it may be the current reality in social media marketing. If you want to reach out to a wider audience and have a larger market discover your products and services, you should use video marketing now to prepare for the future. Why is video marketing growing in prominence? For the simple reason, that video is a more effective medium in delivering content to its intended audience. According to research, you will only retain 10% of the information you read or hear. However, when combined with video, the retention level increases to 65%. Companies will also rely on video to improve customer experience. How do we know this? More than 100 million people prefer to use WhatsApp’s in-app video calling feature to contact friends and family. Meanwhile, video messaging and augmented reality app, Snow, has already amassed over 200 million users. These numbers show a significant change in the online behaviour of mobile consumers. They are using video more than text to communicate. Businesses will see this and capitalize on video as a way to level up customer service. Instead of text-based chat support, you may see customer service or tech support agents taking you through your complaints on video. This is a higher-touch approach to customer service. It will resolve issues faster and establish a stronger relationship between your brand and its end-users. E-commerce is the comet that felled the dinosaurs, the brick-and-mortar retailing giants like Sears, Radio Shack, and Toys ‘r’ Us. Online shopping continues tremendous growth. Presently, revenues from e-commerce total $2.8 Trillion. This number is estimated to hit $4.9 Trillion by 2021. The unchallenged king of e-commerce retailers is Amazon which is expected to account for up to 80% of total e-commerce sales. However, social commerce is not far behind. Social media platforms provide a cheaper alternative for businesses to sell their products and services compared to setting up an expensive e-commerce website that has to undergo regular maintenance. And social media has taken notice. For example, Instagram will allow its users to set up a digital storefront where you can run video and other visual content about your business, its products, and services. In the future, you should expect more retailers to utilize social media channels to generate sales. Social commerce is cheaper; it is accessible by mobile devices, your followers are potential customers that have been built up organically, personal messaging systems are available, and it provides a one-stop shop for the entrepreneur to run his/her business. CEOs can no longer ignore the importance of social media. It has become a powerful platform for customers to voice their opinions and share their experiences. In a way, social media has tilted the balance of power toward the consumer. Companies must deliver on their promise or face the consequences of their – inaction. Social media is becoming the bridge that connects business to their end users. It gives your business a personality that customers can choose to identify with. They want to know more about your business, not just your products and service. Specifically, they want to know who you are; how your company works, and the people who run your business. You will see executives give up the social media reins to their employees so they can freely interact with customers. The CEO who understands social media will use it to build stronger relationships with his/her customers so there will be loyalty and long-term patronage. You already see CEOs such as Sir Richard Branson and Facebook’s Mark Zuckerberg harness the power of social media to give their brands an identity. Social media networks such as Pinterest allow businesses to collaborate with their employees through the use of a community pin board. Your followers can get a snapshot of what your company’s culture is like through your interactions with your employees. 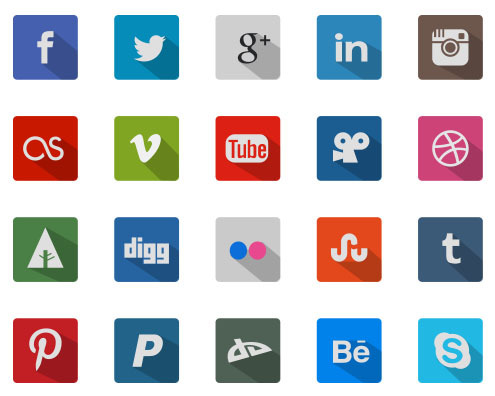 Social media will become a very influential platform on the Internet in the future. People and businesses will be spending more time building their communities, establishing networks, and maximizing the opportunities available in social media. The first signs were there when social media networks like Facebook, YouTube, and Twitter were starting to veer off the social interaction course and toward the path of a digital agency. The transition from social media to digital agency is part of the natural evolutionary process. It is a need to monetize the assets they have built over the years. Over time, these social media networks will begin to offer more value to consumers and businesses than just the ability to share and post content.